Health and well-being has been a passion of my mine, ever since I can remember. After 5 pregnancies in my early 40's, I noticed that my body wasn't co-operating the way that it used to and that I was in serious need of an overhaul. It took me years to discover eating RAW, fresh fruits and veg which made a huge difference. It meant saying goodbye to cappuccino's, " healthy rye bread" and cheese and discovering a whole new world of nutrition that actually fed my mind, body and soul. In 2009, I was fortunate to participate in David Wolfe's Longevity NOW conference. It was there that we were encouraged to experiment with elixirs made with Reishi Medicinal Mushrooms. Over the past few years I have enjoyed taking the mushrooms to improve my own health, Maitake and Reishi were best for me for a couple of years. I have now switched over to Shiitake, Lions Mane and Trametes. My husband and teenage boys love taking them and use them for focus, concentration and boosting their immunity. In 2018 I am so grateful for the gift of a thriving, holistic business, which feeds my well-being and those of my family, friends and clients. I love working with my clients directly. My skills as Health Coach come in handy where necessary, focusing on nutrition and lifestyle which is key to regaining and claiming ones health. 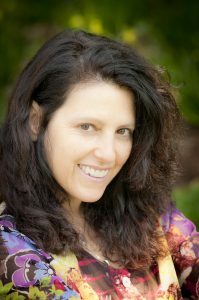 I may use energy healing techniques that I acquired when studying for Reiki Masters in 2002-2003, I am passionate about yoga and teaching correct breathing techniques. I also draw on many skills that I have been fortunate to acquire over the years. If growing your own food and herbs inspires you, I can guide you in that area too. Change is something that is inevitable and necessary to keep up with new and interesting information - with that in mind, we bring you an upgraded range of Mushroom powder extracts. 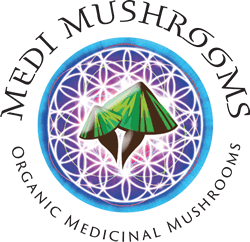 Our medicinal mushrooms are sourced from deep in the mountains in the East and are certified organic and pollutant free. Trametes versicolor otherwise known as Turkeytail is our recent addition to the family. Our mushrooms are manufactured and lovingly packaged in South Africa. Our unique products are available on-line and from selected Pharmacies, Health Shops and Health Practitioners in South Africa. Want to know which Mushrooms are suitable for you and your loved ones? Recycling bottles is encouraged, please let me know if you would like to drop them off at a store near you. If you would like to find out more about our wholesale options or would like to place a wholesale order, please contact me.